I've always had a drinking problem in that I am too focused on my work to get up and get a glass of water. Even when there's a little part of my brain telling me I'm dying of thirst, I just tell it to stop being overdramatic and keep on working. Little Sissy Pham had to 'water' me when I first got into Diablo III for this very reason. Sometimes I would go a full day on one sip of water and only realise my bad when I stopped working and got hit with a dehydration headache. Yeah, those exist. But at work, I don't have Little Sissy Pham bringing me regular glasses of water and cups of tea. I've had to step up my water game and I did so in shiny Sigg style. 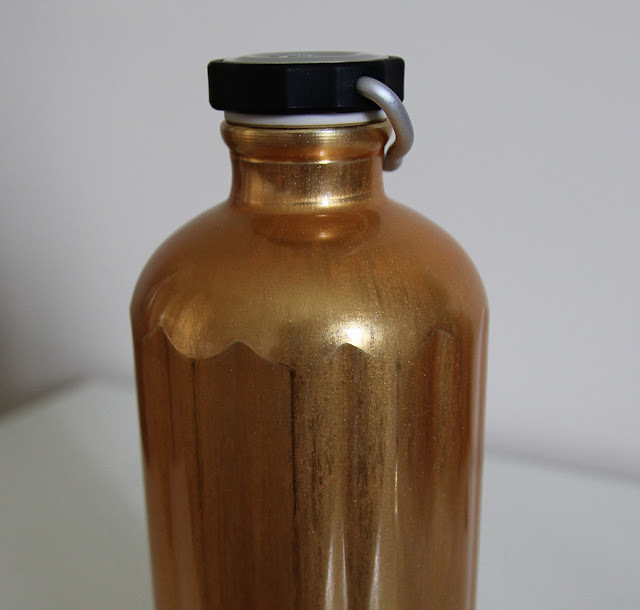 I got this Heritage Sigg 1L drink bottle in Vintage Gold from bodegadeluxe.com - look how pretty the colour is! There is a matte black version that I really wanted too but I lived up to my Shiny Jade mug and went the shiny gold bottle. Also, part of my brain didn't want a drink bottle that matched the boys' cars at work. There's enough matte black already in my world view. 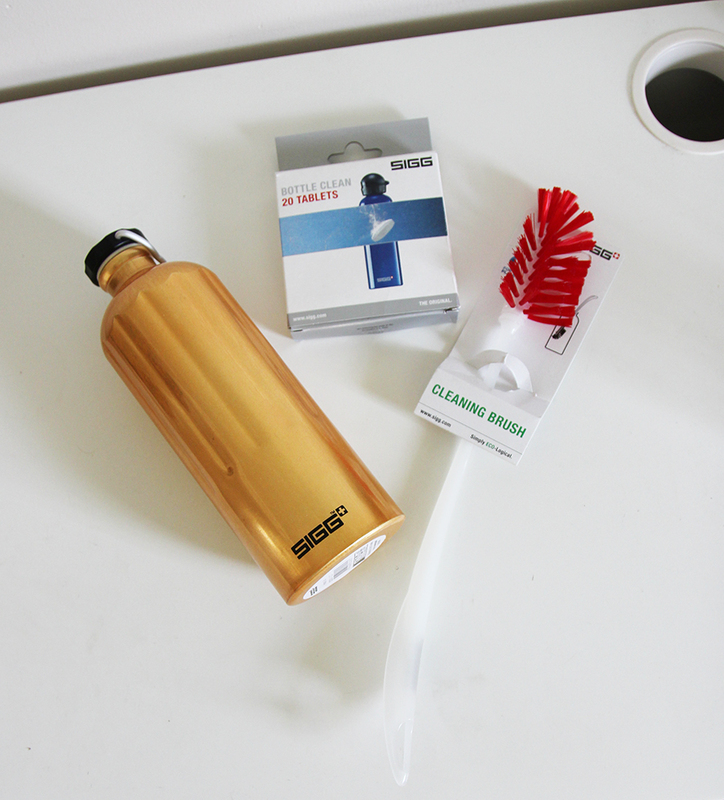 I got the whole kit - Sigg bottle cleaning brush and cleaning tablets because cleanliness is next to something that's not dirty, which is important when it's your drinking water. 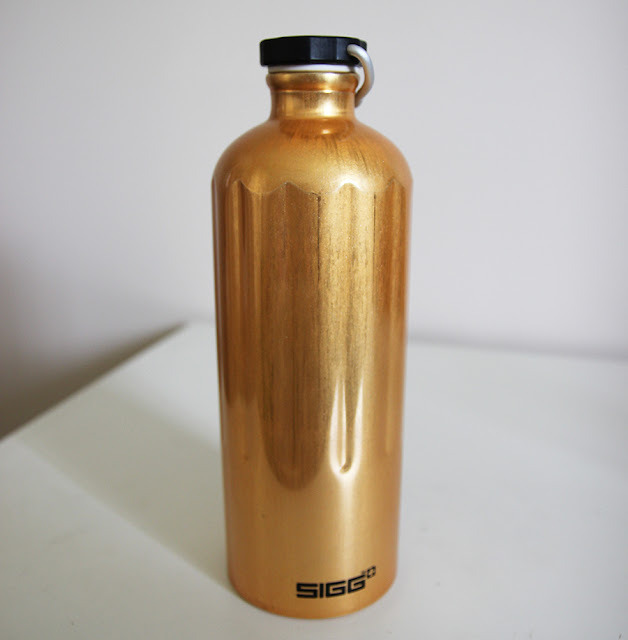 My Sigg gold bottle makes me huppy.